Boston really does know how to do the 4th of July. The week long Harborfest brings together lots of American history, colonial revolutionaries and roving bands of Redcoats, tall ships, good food, great music and a firework spectacular. I met some folks from Florida last night during the festivities who were there checking Harborfest off their Bucket List. I’ve been in DC for several Independence Day celebrations and I have to admit that Boston is more fun. My first day of Harborfest this year focused on the tall ships and historic music. 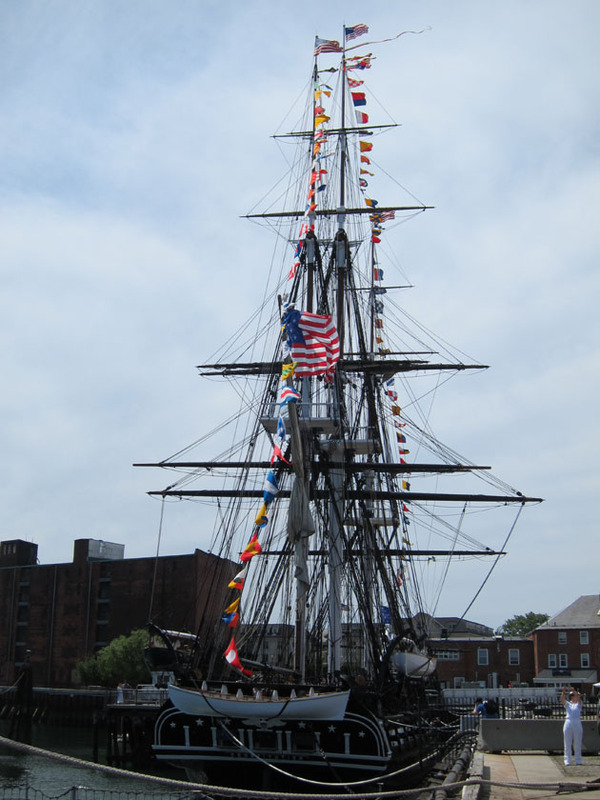 The USS Constitution, launched in 1797, is permanently moored in the Charlestown Harbor. 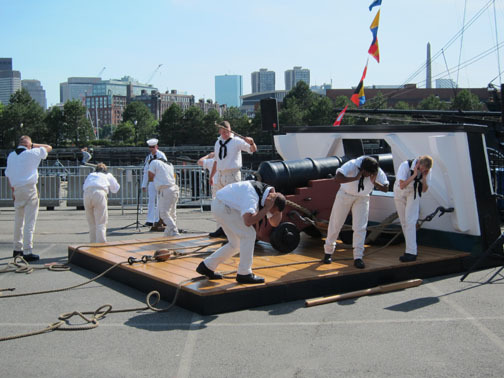 An active Naval ship, the Constitution crew maintains the historic vessel and provides tours and demonstrations for the public. The USS Consitution saw significant action in the War of 1812, famously beating the HMS Guerriere off the coast of Nova Scotia and earning the nickname “Old Ironsides” because the British cannonballs seemed to be bouncing off the ship. The USS Constitution has been restored and re-rigged over the last few years in preparation for the bicentennial of the War of 1812 and is beautiful to see today. For Harborfest this year, the USS Constitution is joined by USCGC Eagle. 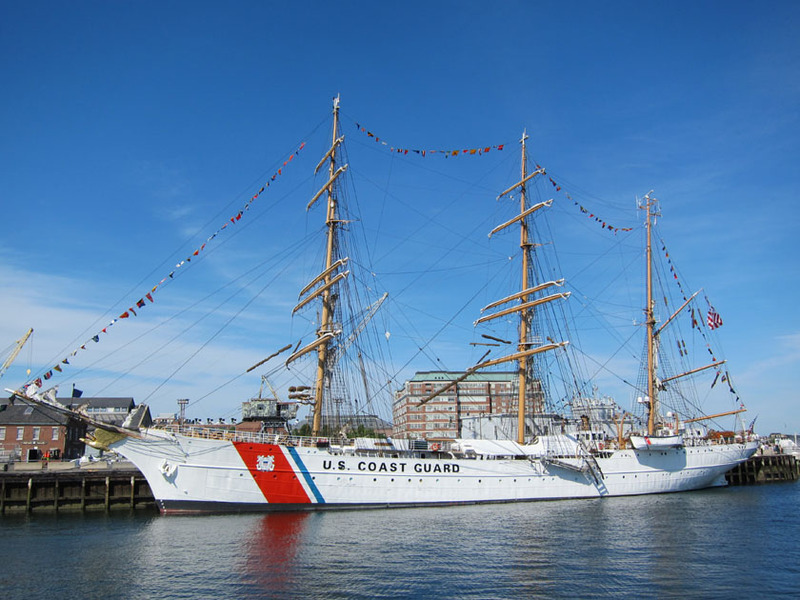 While only constructed in 1936, the Eagle is an active training vessel for the US Coast Guard Academy in which cadets learn historic sailing skills and very practical lessons in leadership and team work. The morning of July 4th, the USS Constitution, accompanied by the USCGC Eagle, will sail into Boston Harbor and fire off a salute from its cannon. 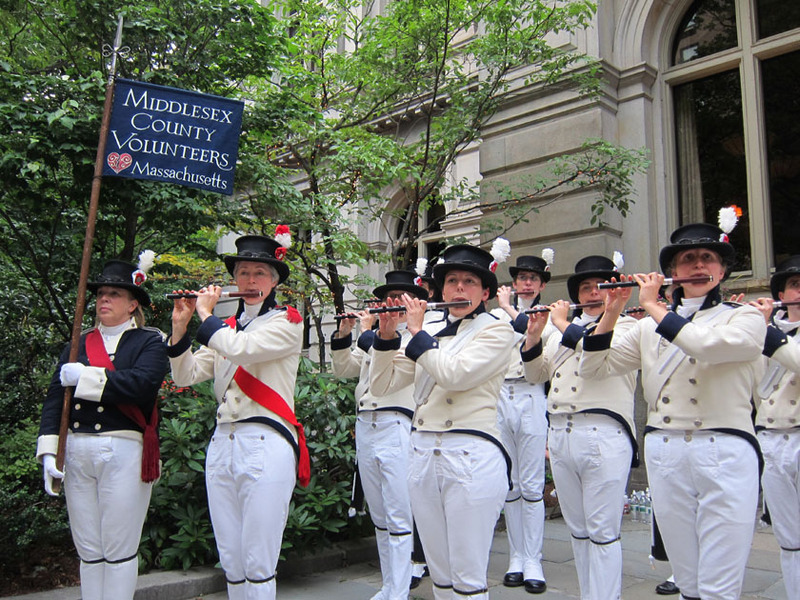 One of favorite part of Harborfest is the free concert by the Middlesex County Fifes and Drums. This group performs early American tunes, North Atlantic folk music and some international songs they’ve picked up in their touring. 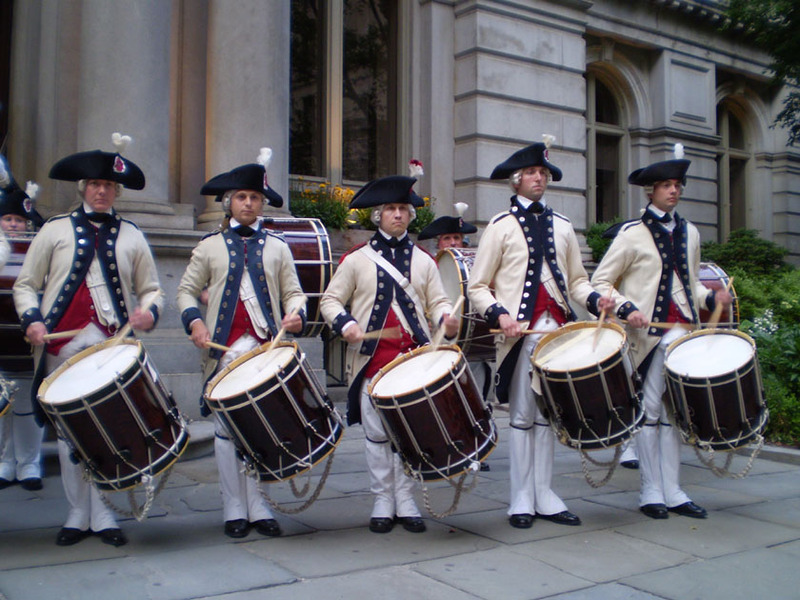 At their June 30th concert, they were wearing their secondary uniforms (circa 1801-1812) in honor of the War of 1812 bicentennial, as oppose to the Continental Army Uniforms they wore last year.